Bring on the tanks, the planes, and the huge arsenal of weapons—it’s time to revisit Dice’s origins and go back to the Second World War in Battlefield V. While Dice was busy developing games for a certain fanbase in a galaxy far, far away, I’ve been clamouring for a new Battlefield experience to satiate my gluttonous FPS appetite and have come out more than satisfied with this year’s entry into the franchise. Battlefield V may be the shooter of 2018 that people love to hate, but the tweaks and adjustments Dice has made since the game’s initial playtests have made a world of difference to the experience. The backbone to every Battlefield game is in its online multiplayer and Battlefield 5 is no exception. The game launches softly with only eight playable maps at launch, but their quality and detail more than make up for it. Each map has a different style or design concept within it that attracts a wide variety of players. Players like me who love infantry-focused battles will spend hours in the Grand Operations of Rotterdam for its wealth of multi-level buildings and close quarters firefights, while other players who are obsessed with piloting vehicles will feel right at home in maps like Hamada and Arras. The secret to Battlefield V’s maps is that they make you feel invested in the fight and fully immerse you into the role of a soldier fighting tooth and nail for their life. I loved overcoming the odds and capturing the massive bridge on Twisted Steel with my squad, and later reducing Arras to debris with an airstrike to secure the town and its church from the attacking forces. 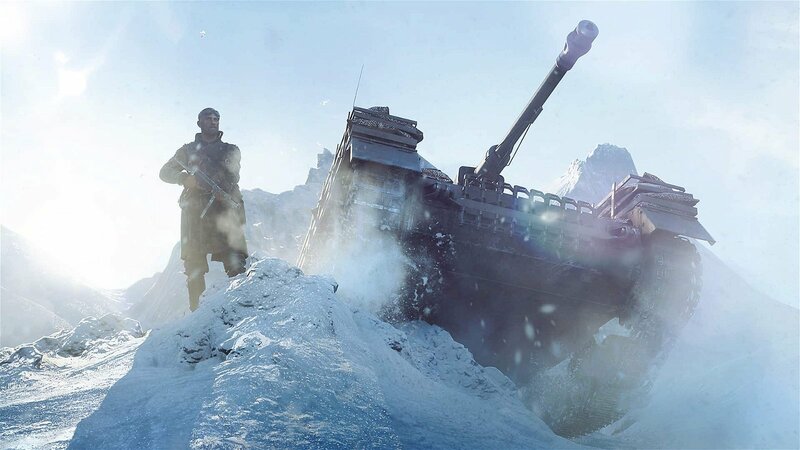 One of the game-changing mechanics to how players will approach maps and different game modes in Battlefield V is the ability to fortify the area surrounding objectives and other points of interest. By building up sandbags, digging trenches, and erecting supply points, both teams can change the battlefield to benefit their team’s objective. I also appreciate that every class is capable of building fortifications. While support players are definitely the specialists in the field who can build them up the fastest, other players can still work together to speed up the construction of fortifications even more. Team interplay is even more crucial in this year’s Battlefield with the addition of the Attrition mechanic. Players will spawn with only a limited amount of ammo, one health pack, and a small number of each gadget for their chosen class. This means that squads need to be balanced and work off each other effectively to really achieve the best results in a match. This is great for players like me who love to contribute as support or medics, but lone wolf snipers or assaults will feel slighted that they have to stick closer to their team to get resupplied and topped off on health more frequently. While it does create a strong squad structure, I would have liked to see some new communication options be added to the game to help out teams who are comprised of randomly matchmade players. The class system of Battlefield V feels surprisingly shallow despite its impressive roster of weapons. While gun customization and specializations are still plentiful and in-depth, classes themselves feel locked into only a few select playstyles and equipment. Assault players load up on rockets and assault rifles to be the most damaging infantry units, support players bring unlimited ammo pouches along with their hefty light machine guns, and the recon class are long-range specialists who can relay enemy positions and put down new respawn points. The only class that stood out to me as underwhelming was medic, due to their lack of range. While medics are great at reviving teammates and handing out health packs, their submachineguns left much to be desired. They are great close quarters specialists who only have a few select maps at their disposal to show off their potential. I’m sure Dice intends to further evolve these classes in their Tides of War updates, but I would have liked to see more variation in their playstyle at launch to show off some diversity. What was made abundantly clear at the review event was that Dice wants you to always be working towards new unlocks and progressing the soldiers in your company in Battlefield 5. Players unlock weapons by playing their classes and new cosmetics can be purchased with company currency by ranking up and completing either requested or daily assignments. The last piece is your progression in the Tides of War chapters. Tides of War begins almost immediately at launch with the first chapter, titled Overture. By completing new assignments every week, players have the ability to gain extra experience and exclusive unlocks tied to that chapter. With these three progression systems tied together, players should be able to quickly rise the ranks and build up their arsenal of weapons quickly. 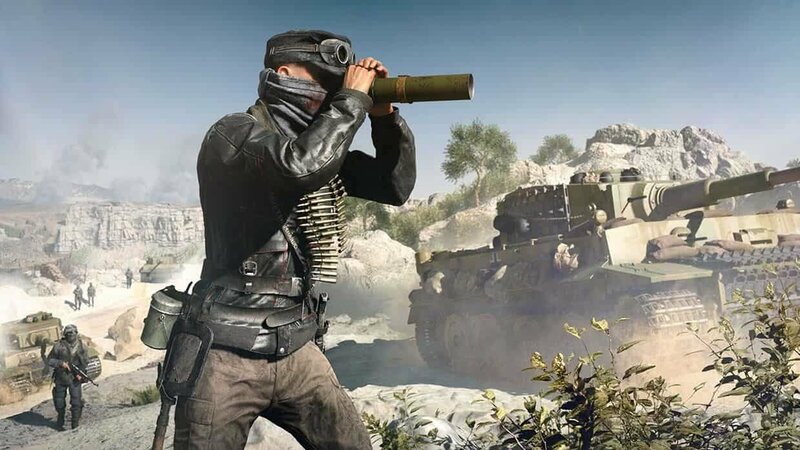 Tides of War is Battlefield 5’s live service model for DLC and is free across the board for all players. Each new update to the game is scheduled every couple of months and is themed around new game modes and maps that are added to the multiplayer. Right now Dice has shown off their road map planned for three chapters scheduled until March of 2019, which includes Overture, Lightning Strikes, and Trial by Fire, which will introduce the planned Battle Royale mode, Firestorm. At the review event, players got the ability to try out an early build of a new map introduced in Overture, called Panzerstorm. With a name like that players can safely assume this update will focus on tanks and vehicle gameplay, but it will also introduce a new practice range and War Story for players to go through as well. 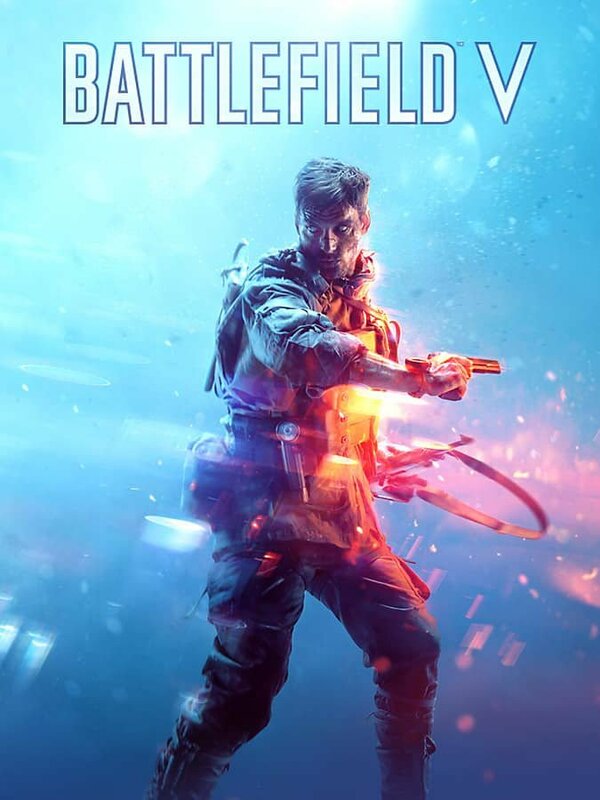 At first I was apprehensive at Battlefield 5 going the live service route after the catastrophe known as Star Wars Battlefront 2, but it appears Dice has made a number of adjustments and have improved their communication significantly with their player base to tell them exactly what content they’re going to receive and a scheduled release date for when they will receive it. At the end of the day, what I appreciate the most is that this service model is free for all players and won’t segment them like other shooters on the market or DLC models of the past. The last piece of Battlefield 5 is the one that didn’t impress me in the slightest, and that’s sadly War Stories. 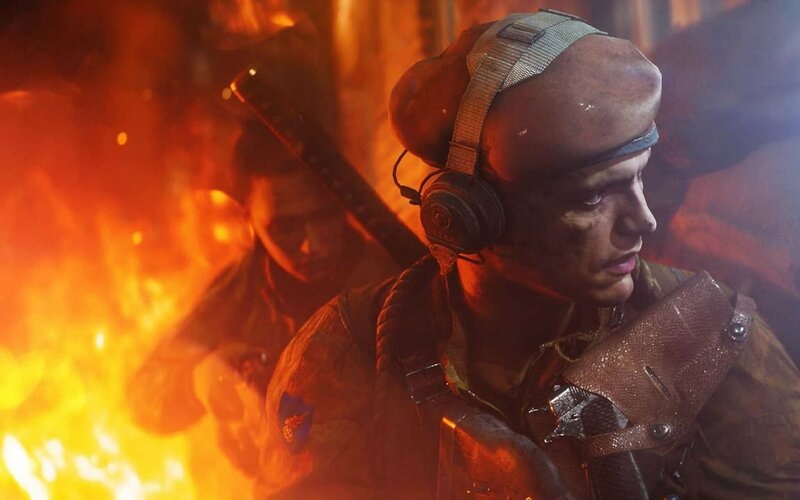 For readers unaware of what this mode is, War Stories is Battlefield 5’s single-player campaign that attempts to tell a thought-provoking or emotionally charged story about the war from various perspectives and people. It all sounds well and good in theory, but there are a number of problems I’ve had with the mode since it was introduced in Battlefield 1. Primarily, I don’t want to jump from character to character after every mission because I don’t grow any attachment to them or their goals. These 45-minute missions are bite-sized and the game only comes with three at launch—four if you include The Last Tiger, scheduled for release in December. I want Dice to go back to building a new campaign from the ground up as they did with Battlefield 3, which didn’t use the multiplayer maps as the backbone for its environments and actually put a lot of time and focus into developing the soldiers around you. War Stories will definitely still resonate with players who enjoyed it in Battlefield 1, but this simply isn’t the type of campaign I’m interested in playing. 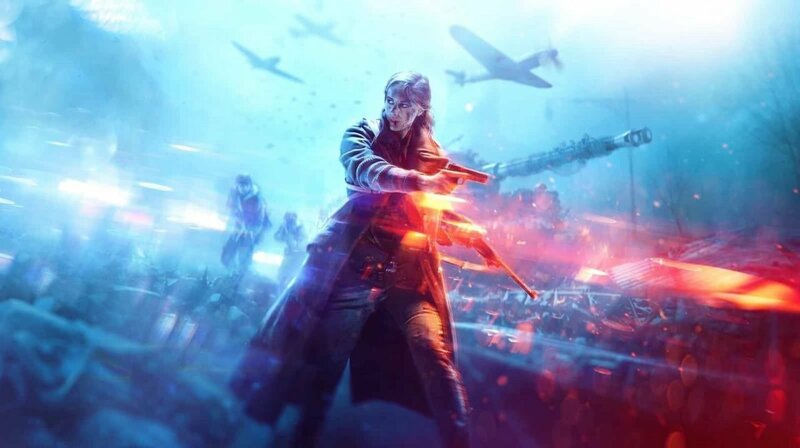 It’s no secret that the press and marketing campaign driving the release of Battlefield 5 was a gigantic mess, with long-time fans and EA executives squaring off and ultimately damaging the game’s reception in the process. Despite the bad press at the start, I have a lot of faith in Dice as a developer and they have delivered a fantastic shooter this year with Battlefield 5—after listening to their community and taking their feedback seriously. While there are some problems with select classes and gameplay elements at launch, what I’m excited to see more than anything else is how this game evolves and progresses with every Tides of War update.